Marketing studies indicated that the websites on the first page of the Goolge or other search engines have more than 90% of chance to be visited by the people who have searched for a term (keyword). The importance of search engine ranking is essential specifically for businesses relying on online marketing. It is therefore essential for any business to compete to achieve higher page rank to get located on the first page of the search engines. At BITBA our Search Engine Optimization (SEO) experts provide a FREE but full assessment of your website ranking according to the keywords targeting your business customers. Next, we will provide a complete strategy to enhance the page ranking of your website which eventually may provide you with higher traffic, conversion rate, and business revenue. Our experts provide multiple services which each target both On-page and Off-page strategies approved by search engines policy to help the ranking of your website. Recently Google has released a few updates in algorithms searching the web (Google Panda & Google Penguin) that have impacted websites which were using unethical approaches to increase the visibility in search engines. At BITBA we always follow all accepted methods by Search Engines (White Hat Methods) to promote your business and bring more organic traffic to your website. This may help your business by reducing the costs of advertisement in the long-term. Just imagine if your website were normally shows up in the first page of Google without paying for advertisements. A proper Search Engine Optimization method facilitates the chance of bringing more revenue from your online business or further introduce your brand to public. For your FREE SEO assessment please contact us and we will be more than happy to perform this initial assessment without any obligation. 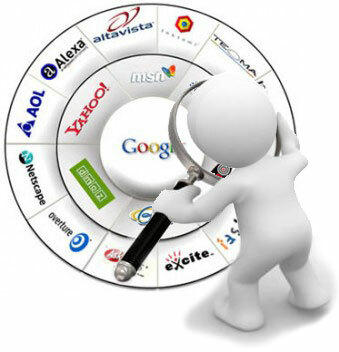 We assure you that our service will provide you with great insight into your organic SEO strategies.